The Culture classes recently received the long-awaited textbooks for teaching our Umonhon language. Included with the Level 1 textbook are a teacher workbook and flashcards. The flashcards are used for building vocabulary and follow along with the textbook. 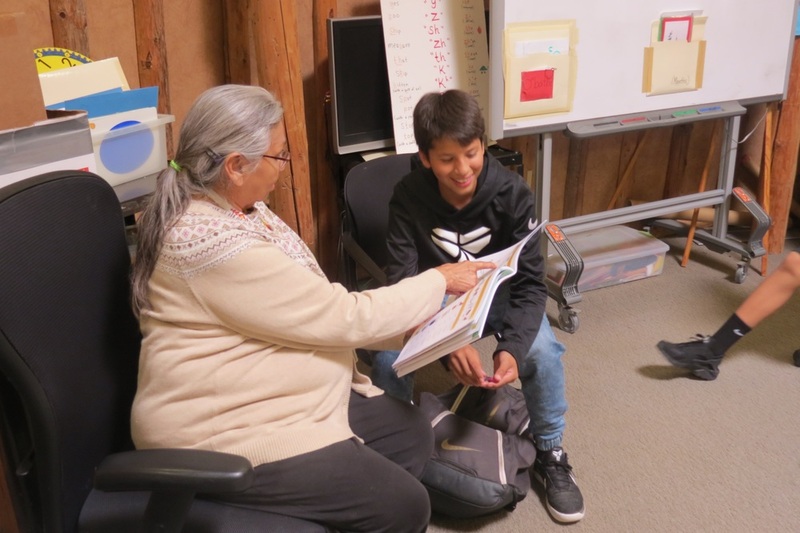 Altogether, it took approximately a year for a team to compile the textbook but the information used came from Ms. Stabler's documentation work with our Elder(s). They were shipped to the school in August. Not only did they get shipped here, but they are also being used in South Lincoln Public Schools, and Head Start. The books go to all the places that teach our Umonhon culture. Ms. Stabler wrote the Acknowledgment in memory of Marcella Cayou. A total of eight people, including illustrators, worked on this important project. CDs which will accompany the book are currently in production.